The Ontario Securities Commission has ordered several top executives of timber company Sino-Forest to pay millions in administrative penalties, disgorgement and costs. The Ontario Securities Commission ruled in 2017 that timber company Sino-Forest and several of its top executives defrauded investors and misled investigators in one of Canada's largest corporate fraud cases. The regulator ruled last year that the company and several of its top executives defrauded investors and misled investigators in one of Canada's largest corporate fraud cases. Former CEO Allen Chan, as well as Albert Ip, Alfred Hung and George Ho defrauded investors by overstating the now defunct company's timber assets and revenue. In a decision this week, Chan was ordered to pay a $5-million administrative penalty, disgorge nearly $60.3 million and pay $2 million in costs to the commission. Ip was ordered to pay a total of about $6 million, while Hung was ordered to pay nearly $4.3 million and Ho was ordered to pay about $3.7 million. Simon Yeung, who was found to have misled staff during the investigation, was ordered to pay an administrative penalty of $1,000. The men were also permanently prohibited from trading or acquiring in any securities and prevented from becoming a director or officer of any issuer, registrant or investment fund manager. Earlier this year, an Ontario Superior Court judge found Chan guilty of fraud, breach of fiduciary duty and negligence and ordered him to pay more than $2.6 billion. The court ordered Chan to pay $2.63 billion in damages and $5 million in punitive damages in the civil case filed by SFC Litigation Trust, which is acting on behalf of the company's creditors. The investigation into Sino-Forest started in 2011 when short seller Carson Block of Muddy Waters Research published a report accusing the company of being "a multibillion-dollar Ponzi scheme." 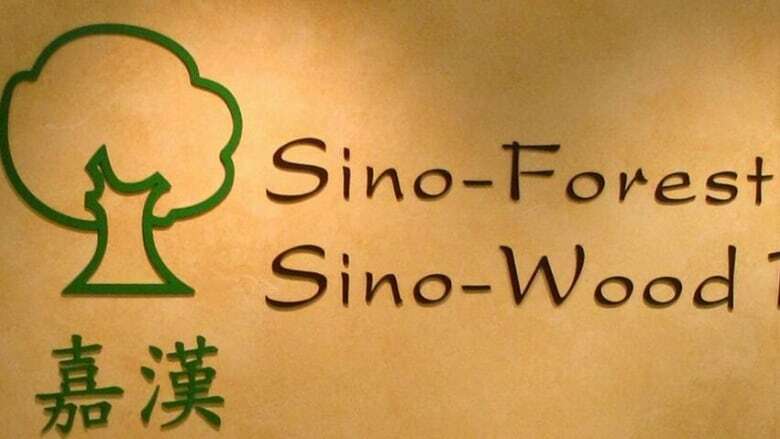 Sino-Forest was once the most valuable forestry company listed on the Toronto Stock Exchange and conducted most of its business in China until it collapsed in 2012.